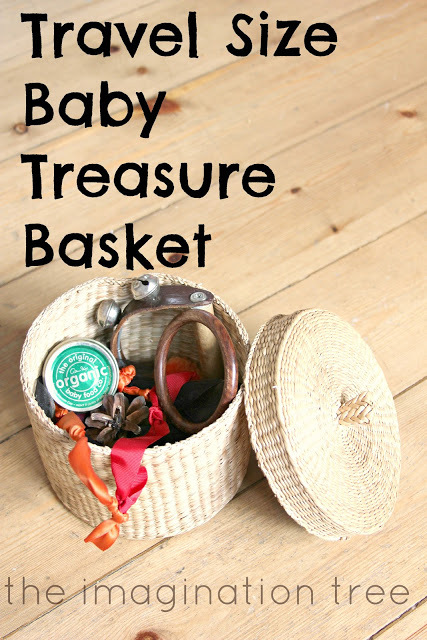 Create a travel size treasure basket for carrying in your bag to keep your baby busy and playful while out and about! 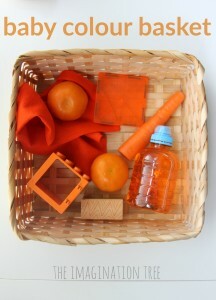 Based on the Montessori and Reggio principles of heuristic play (playing with everyday objects), these baskets promote curiosity, open-ended thinking and plenty of investigative skills! Have you ever made a treasure basket for your baby, or a group of babies in your care or classroom? 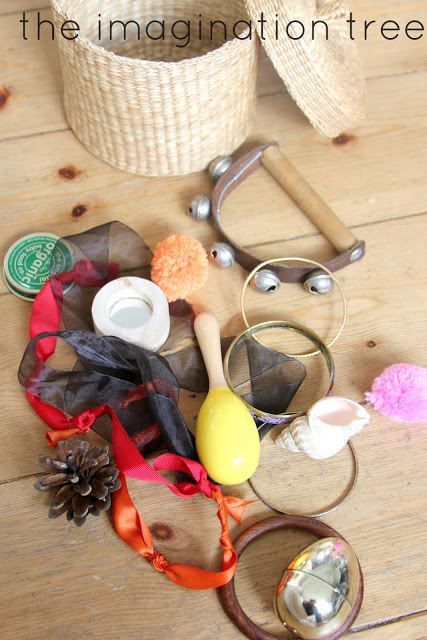 To understand the theory, benefits and thinking behind this wonderful concept, please read this earlier post explaining what heuristic play is and how to create treasure baskets for babies. It explains what to include, what not to include and why each type of item is beneficial! We have been making and using treasure baskets since Cakie was a baby. They have evolved over the years to have many different contents, sometimes grouped by theme, but usually just containing a wonderful array of textures, colours, scents, shapes and natural materials. The baskets rarely contain any plastics and certainly don’t have any electronic toys or flashing lights. They are simply full of everyday objects, ready to be explored and discovered by tiny hands! 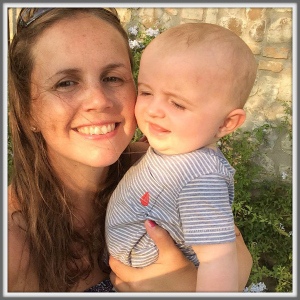 Baby Bean is very active now and keen to investigate absolutely everything she can get her fingers on! She has a treasure basket in the living room and our bedroom and we have just put together this small travel size basket for popping in my bag when we go out. The contents are being updated regularly to keep her interested, and so far she loves this one the most of all, perhaps because of the added wonder of a lid that comes on and off! These can all be explored and investigated using all of the senses, as well as manipulated, examined. stacked and sorted, depending on the age of the child. Please note, very clearly, to only use things you deem to be safe for your child. Nothing so small it could be a choking hazard, of course. 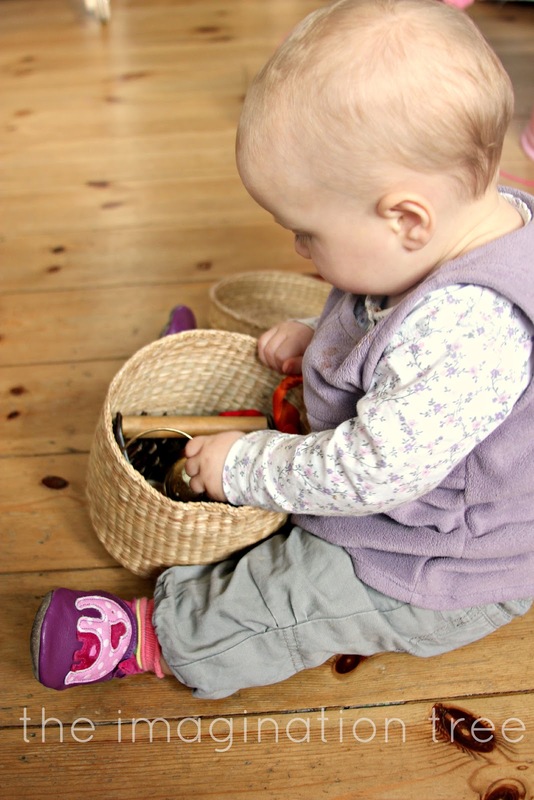 And ALWAYS supervise your baby while they play, this is a key rule of treasure basket play. Read the original post for a full explanation. 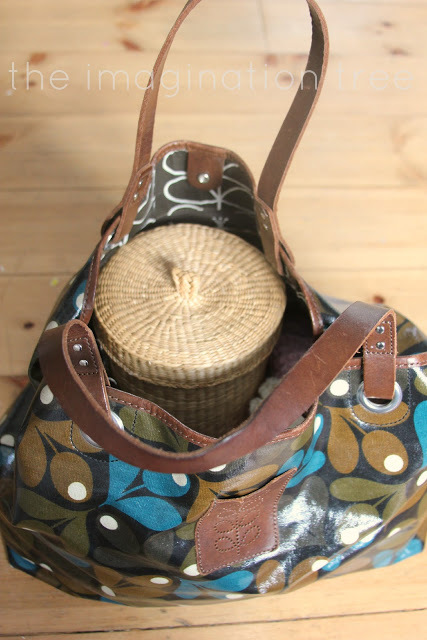 This basket is big enough to carry 10-15 small objects, and small enough to fit inside my bag when we are going out (amongst the huge amount of other detritus I carry on a regular basis too!) Bean is really enjoying rifling through the contents while we are at church, at our relatives’ homes and in waiting rooms! 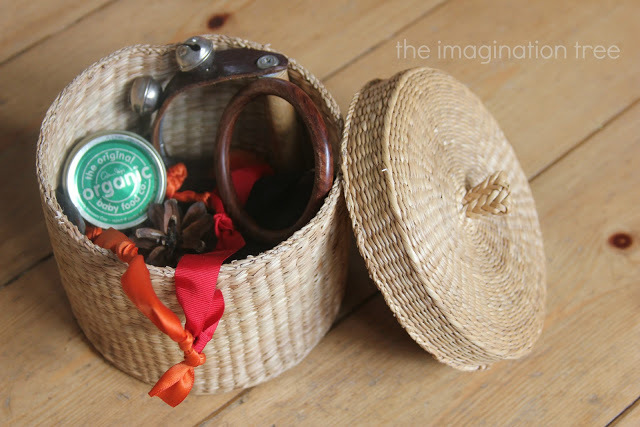 Have you made a treasure basket yet? How about making a travel size one too! « Yarn and Ribbon Wrapped Pumpkins! Lovely idea Cerys! I have so much “entertainment fodder” at the bottom of my big bag too, haha! Love this idea! I can see this being used in the car on short trips (with only specific/safe items in it). Love this idea! 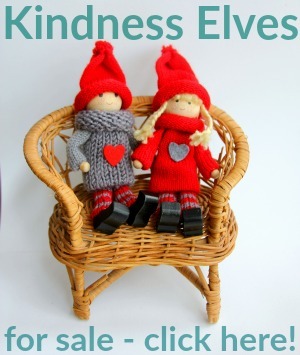 I really want to make one for my 7 month old, where did you get the lovely baskets with lids from that you used? And what did other people use for containers if you used something different? Wow… that is a good idea, I can make my baby busy with that travel size treasure basket, I will follow that. Love your blog! Thanks for the ideas. I recently gave my granddaughter, Olivia (14 months old), a wooden box that was made by daughter, her mom, when she was a young girl. The box had a lid and Olivia just enjoyed opening and closing the lid. She would squeal “Ahhhhhh!” everytime she opened it, whether there was something in it or not. I found a pretty colored tin, with a lid, to use as a Treasure Basket. I can’t wait to see her reaction! Lovely! Where did you get the gold eggs?